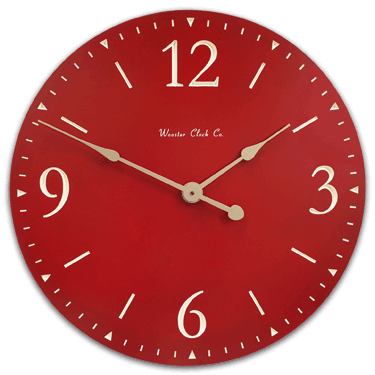 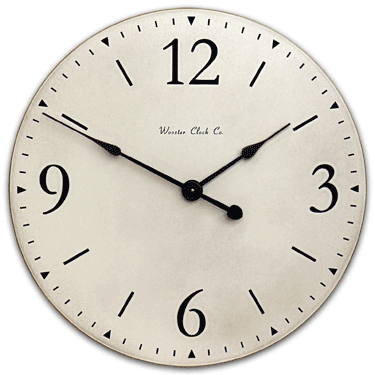 Clock has a modern look with either solid or rustic color and arabic numerals. Finished in cabinet grade Matte finish on the front, side and rear of clock. 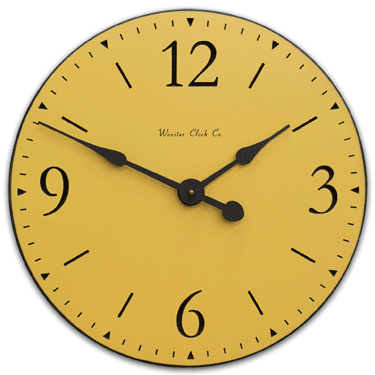 Rubber standoffs on the rear so the clock lays straight with the wall. 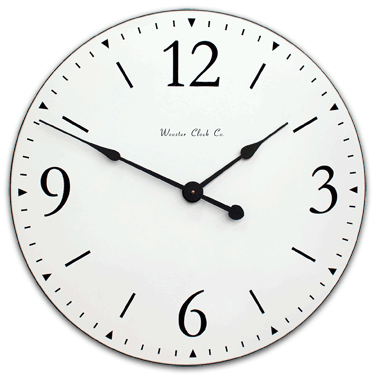 Available in 3 sizes - 17", 24", 31"